Same old message from M&S - but room for optimism? Roger Holmes, the last chief executive-but-two, told investors as long ago as the 2004 results he aimed to "transform all the elements behind the scenes and on the supply chain".His successor, Stuart Rose, spoke at the 2009 results about increasing the "pace of change and operational execution".And at the half year results in November 2012, Marc Bolland, the last chief executive, claimed: "We are making strong progress with our plan to transform M&S into an international multi-channel retailer." Today, Steve Rowe, the latest chief executive to attempt to revive the fortunes of the high street stalwart, made this observation: "The first phase of our transformation plan, restoring the basics, is now well under way and the actions taken have increased the velocity of change running through the business. ":: M&S store closure costs push profits down 62%A cynic would say this feels like Groundhog Day. 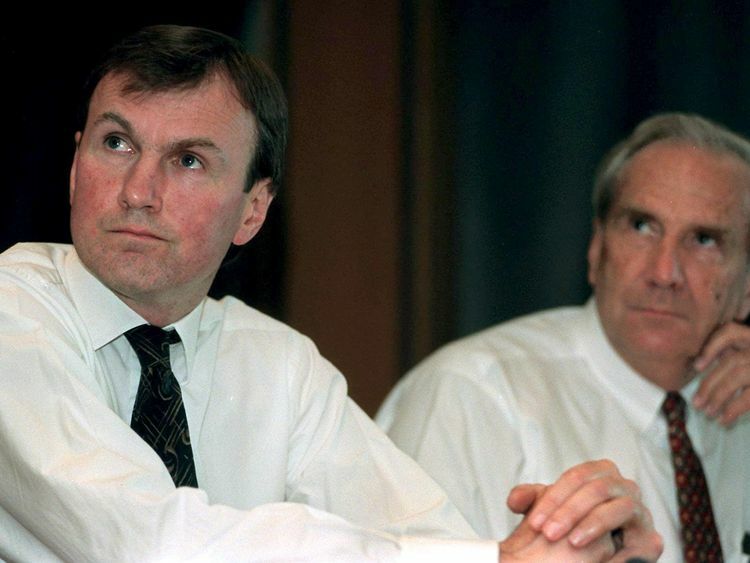 From a financial point of view, that is certainly the case.M&S was the first British retailer to make pre-tax profits of €1bn under the legendary Sir Richard Greenbury back in 1998. The now Lord Rose of Monewden hit the same benchmark a decade later. Over the two decades, though, that achievement looks more and more like an upward blip in a downward spiral.Few would dispute Mr Rowe's diagnosis of the headwinds facing M&S: the "continued migration of clothing and home online, the development of global competition, the growth of home delivery in food and the march of the discounters", along with a challenging consumer backdrop. The problem is that M&S has known about some of these issues for many years and, with the benefit of hindsight, has failed to address them.Of particular disappointment is that, as Mr Rowe admits, M&S's online capability is not as good as its competitors and its website is too slow.That is an implied criticism of Mr Bolland, who invested €1bn in M&S's logistics and technology, including €200m alone on an automated warehouse at Castle Donington in Leicestershire. Mr Rowe admitted today that "Castle Donington has struggled to cope with peak demand".There have been other self-inflicted wounds, as well. Mr Rowe noted that in both food and in clothing and home, M&S has seen its customer base narrow, with the loss of market share particularly acute among younger families.That may partly reflect the push towards high-end fashion under Mr Bolland and a failure, in the past, to identify and react to the rise of so-called 'fast-fashion' retailers like Zara, H&M and Primark, the latter of whom has seen its share of the UK clothing market, by value, rise from 4.4% to 7% during the last decade while M&S has seen its share fall from 9.7% to 7.6%.Of particular concern will be that food, the part of M&S that Mr Rowe ran from 2012 to 2015, and which was the one unalloyed success during Mr Bolland's time at the helm, is starting to go backwards. 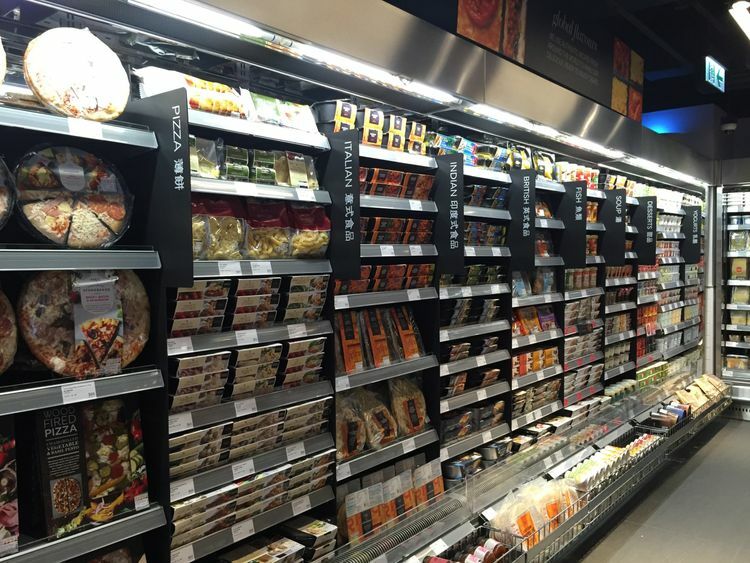 While overall food sales were up, thanks to the opening of new Simply Food outlets, like-for-like sales, which measure sales from outlets trading under the same format for a year or more, fell in every quarter during the last final year, with the rate of decline accelerating during the final January to March quarter, although that may well reflect the 'Beast from the East' factor.So, Groundhog Day, then?Not necessarily. 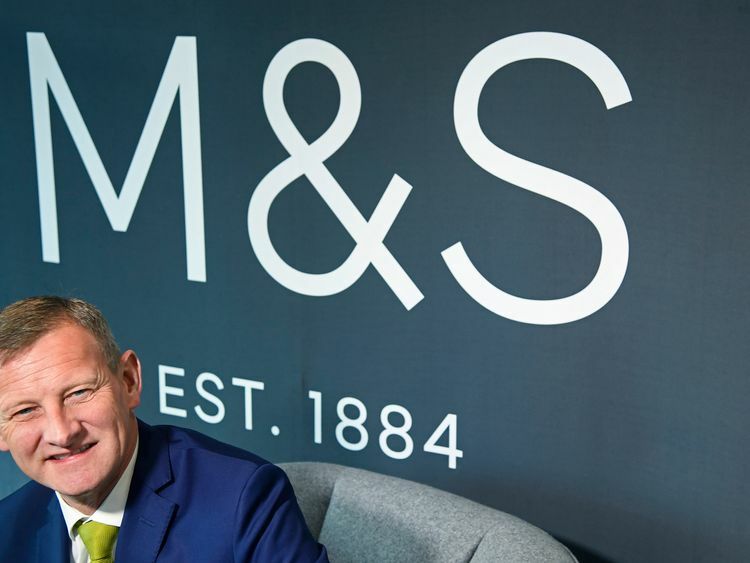 Mr Rowe, doubtless under the guidance of M&S's hard-driving new chairman, Archie Norman, is stepping up the store closure programme. As the company announced on Tuesday, it will have 100 fewer stores by 2022, by which time it expects a third of its sales will be coming online. These are drastic measures.Some in the City are optimistic. Clive Black of Shore Capital, one of the best retail analysts around, told clients: "The business, now in the hands of Messrs Norman and Rowe, is starting to make decisions that have arguably been needed for many years... the current lead [management] team appear, to our minds, to be the best chance that the business has had for some time to stabilise and press on. 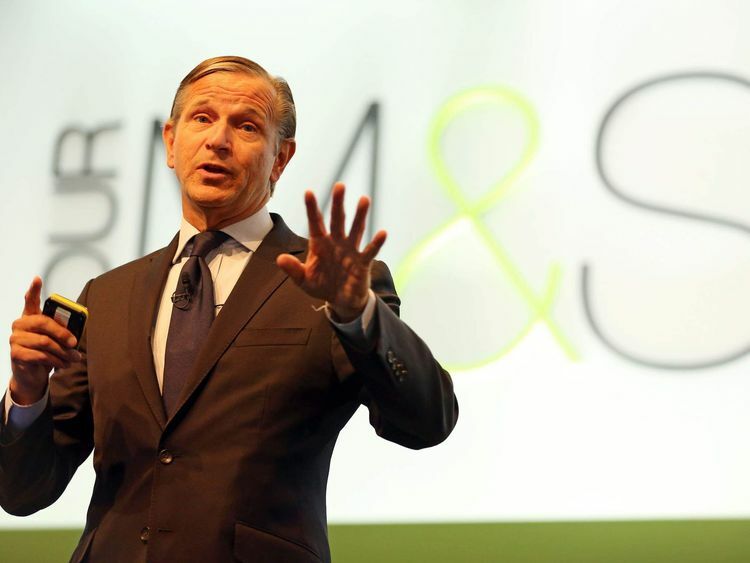 "He said investors would doubtless be frustrated that M&S has been in "perpetual transition" but that they would need to show "more patience".That patience is likely to be tested in coming weeks as M&S faces possible relegation from the FTSE-100, a largely symbolic illustration of the company's fall from grace, but one that will no doubt sting the group's hundreds of thousands of loyal staff and more than 325,000 small shareholders.The big question, which some may find odd in the wake of the store closures just announced, is whether M&S is being radical enough in its downsizing of the estate.Even after these store closures, it will still have 200 food, clothing and home stores, which looks too many for a business looking to accelerate its move to online.The second question concerns the dividend. This has been held at 18.7p a share for the full year and paying it costs €303.4m.The dividend is less than one-and-a-half times covered by underlying earnings - a level of cover skimpier than model Rosie Huntington-Whiteley's M&S lingerie. It would be interesting to know whether there has been any discussion of cutting the dividend.A lot of comment on these results will, inevitably, be negative. That will be hard for the company and its staff to take. But Millwall-supporting Mr Rowe can take comfort from this in a perverse way.A lot of the obsessive attention M&S receives is because the public still cares passionately about this company. As Arsene Wenger found out at Arsenal, the time to worry is when the support base becomes apathetic. » How will M&S measure up as changes accelerate?